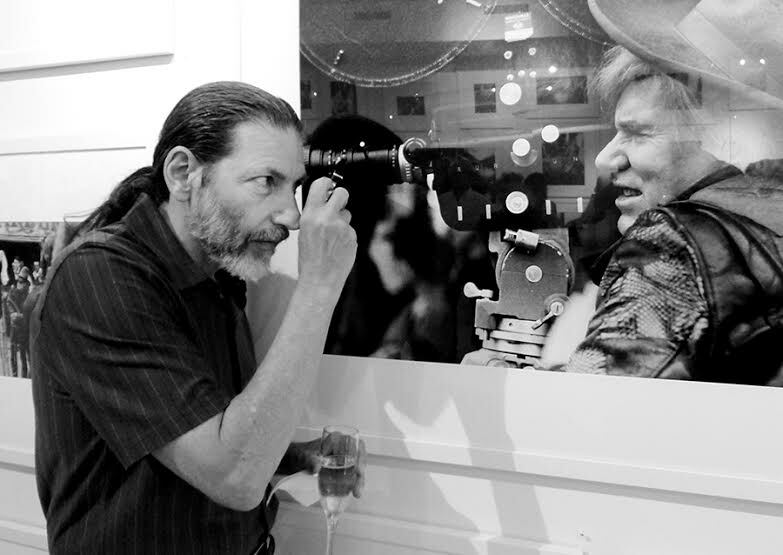 Charlie Steiner is an award-winning filmmaker, photographer and media educator. In the 1980s and 1990s he was a widely published photojournalist and a videographer whose footage aired on TV stations worldwide. His fine art photography has been exhibited in many group and solo shows in Tokyo, New York, Boston and East Hampton. He taught TV Production and Media Literacy in New York and New Jersey high schools. Today he is the Video Director at community radio station WWOZ, filming the music and culture of New Orleans. Now 70, Steiner’s photojournalism has been in the public since he was in high school. He covered the years of protest and pop in the 1960s and '70s, taking photos of the civil rights movement in Mississippi, anti-war demos, be-ins and important political and popular personalities from Ali to Zappa, including Bob Dylan, Andy Warhol, Janis Joplin, Mick Jagger, Patti Smith, Bruce Springsteen, Bob Marley and Robert Kennedy. Steiner is best known journalistically for his coverage of the Shah of Iran in exile [1979 - 80 for Paris Match] and the last years of Marcos and the People Power Revolution in the Philippines [1981-90 for Newsweek]. He reported on the end of Communism in Poland and the Soviet Union [1987-1991]. His video documentaries examine the relationship between culture and politics. NOTHING TO LOSE, about the culture of protest among young people in Poland, foretold the collapse of Communism. HOME BASE – A LOVE STORY looks at the legacy of American colonialism in the Philippines, while SOMETHING HAPPENED reveals aspects of the multiple cultures of Russia, Ukraine, Georgia and the Baltic republics during and after the velvet revolutions of the early 1990s. Steiner also makes documentaries about - and with - performing artists, in locations from West Texas to East Bengal. He has been working with Japanese avant-garde dancer Min Tanaka since 1979, which will result in a feature-length documentary MOVING MAN. AMI PAGOL (I AM CRAZY) is about Bengali mystic musicians while DAYS OF SPLENDOR is about contemporary Jewish mysticism.